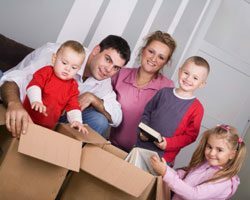 If you are looking for a moving company with a stellar reputation for excellence in the South Forsyth, Georgia, area, turn to the experts at Bulldog Movers. We are one of the largest and most highly regarded moving companies in the area, and for good reason. Unlike many other moving companies who only factor in brawn when hiring an individual, we only employ applicants who’ve passed our thorough screening process and have years of industry experience, so they can provide you with the best moving experience possible. Furthermore, our moving company has one of the largest fleets of trucks in the South Forsyth, GA, area, so no move – regardless of its scope – is outside of what we can handle. We use extra-large trucks that can fit more of your belongings during a single trip, which will ultimately save you money. And, our trucks are equipped with advanced features such as air ride suspension for a smoother ride, and GPS tracking so you can pinpoint the precise location of your precious cargo while it’s in transit. For additional information about our moving company, or to schedule a free estimate, contact Bulldog Movers today. We are proud to offer our services to all those in the South Forsyth, GA, area.